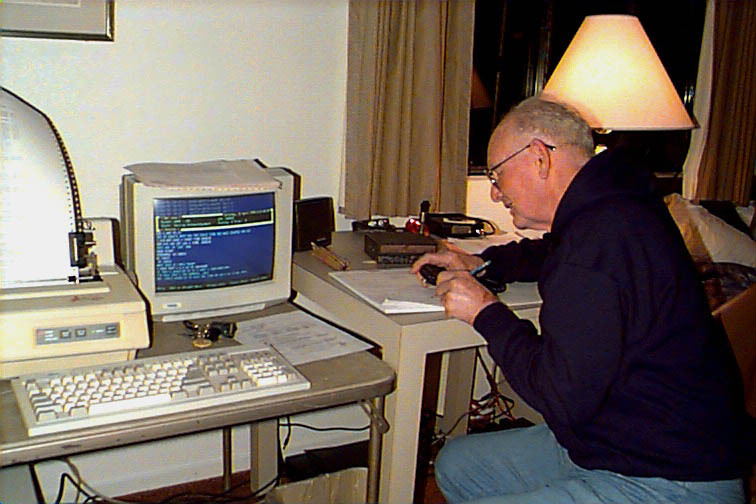 Tom, WA6PFA handles communications traffic for the race from an air-conditioned motel. 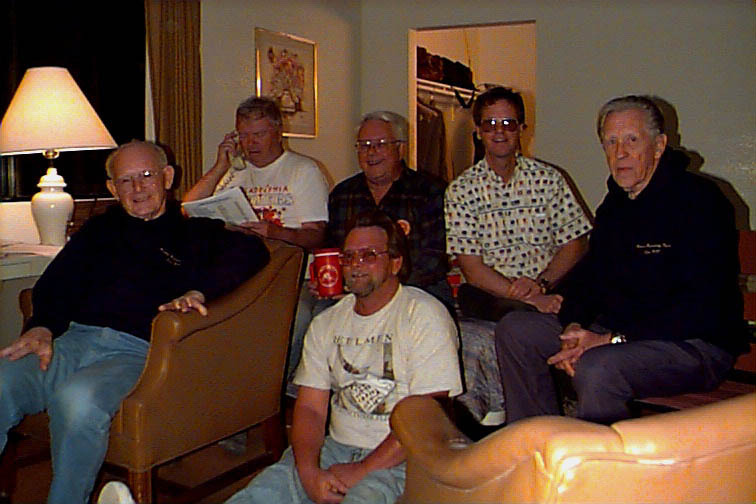 OCARC race communications group: (L to R) Tom, WA6PFA; Frank, WA6VKZ; Steve, KE6NAH (in front); Roy, W5RT; Phil, N7PA; and Bud, WA6VPP. 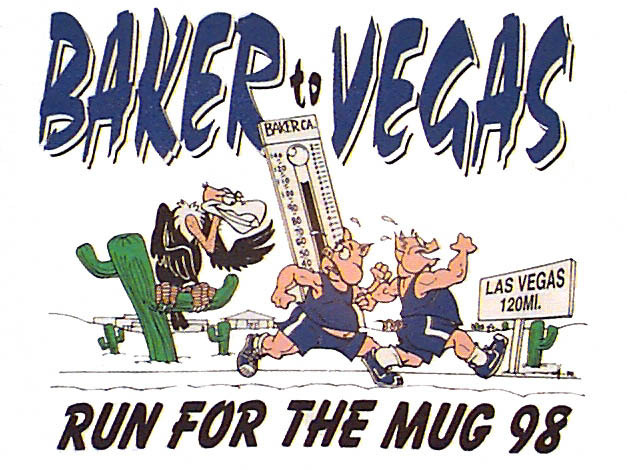 Do you have a Baker to Vegas picture? Would you like it displayed here?